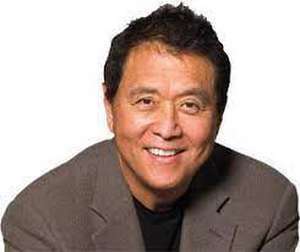 Robert Toru Kiyosaki (清崎 徹, Kiyosaki Tooru, born April 8, 1947) is an American businessman and author. 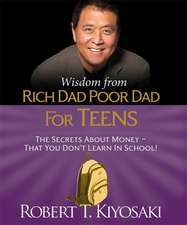 Kiyosaki is the founder of Rich Global LLC and the Rich Dad Company, a private financial education company that provides personal finance and business education to people through books and videos. 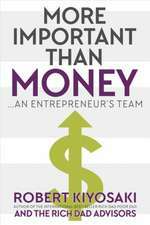 The company's main revenues come from franchisees of the Rich Dad seminars that are conducted by independent people using Kiyosaki's brand name for a fee. He is also the creator of the Cashflow board and software games to educate adults and children business and financial concepts. Kiyosaki's seminars in the US and Canada are conducted in collaboration with a company called Elite Legacy Education (the only publicly traded education company monitored and approved by the SEC and the DOJ) and are contracted out to local companies as affiliations in other countries. 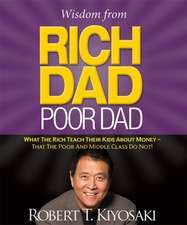 However, some attendees have sued Kiyosaki on claims that his high-priced seminars did not deliver anything special. De (autor) Andy Tanner et al. De (autor) Garrett Sutton et al. If You Want to Be Rich and Happy, Don't Go to School? : Ensuring Lifetime Security for Yourself..
De (autor) Michael Maloney et al. De (autor) Rodney Anderson et al. De (autor) Donald Trump et al. De (autor) C. Thomas Anderson et al. De (autor) Rebecca Kochenderfer et al. De (autor) Chris Martenson et al. De (autor) Kim Kiyosaki et al. De (autor) R. Craig Coppola et al.